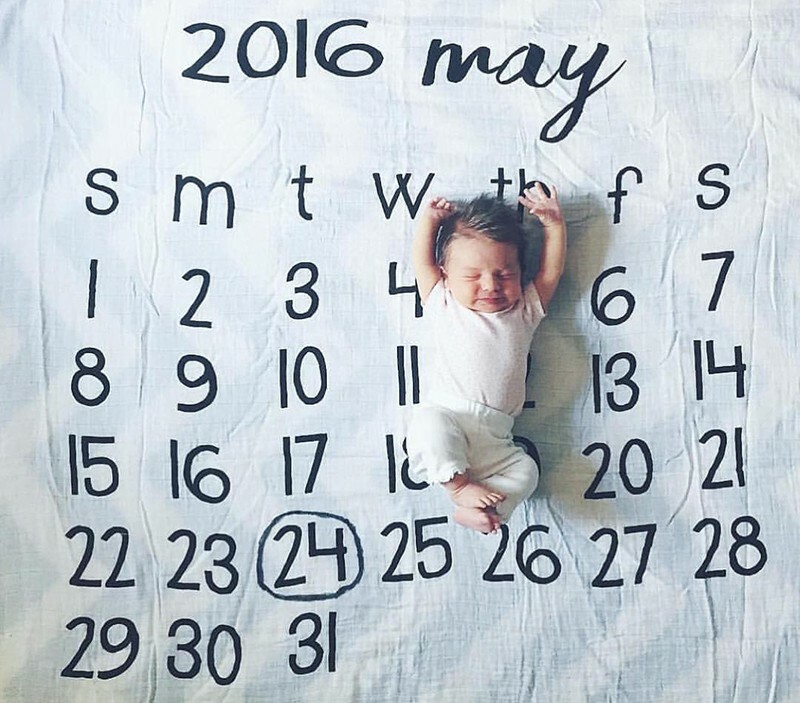 It’s the day parents anticipate for nine months, the day on the calendar that eyes linger over as it is circled for the umpteenth time – baby’s due date. While bubs don’t always get full marks for timeliness, their arrival is a time always cherished and never forgotten. 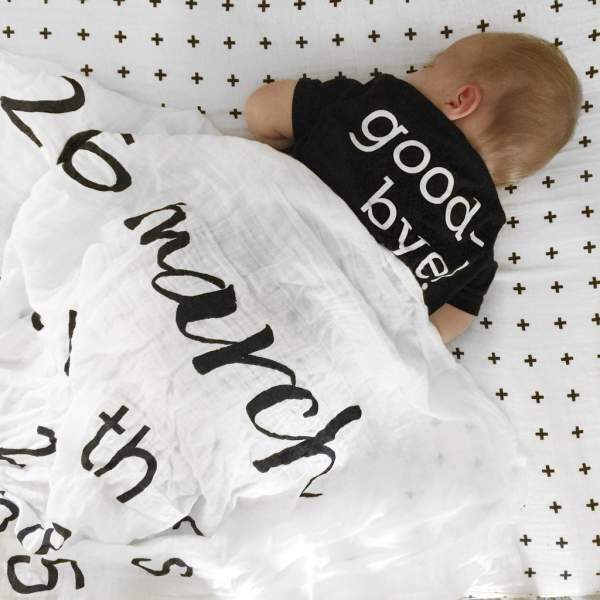 Modern Burlap’s new muslin Calendar Swaddles not only wrap and protect little ones, they are also a beautiful way of commemorating baby’s birth month. 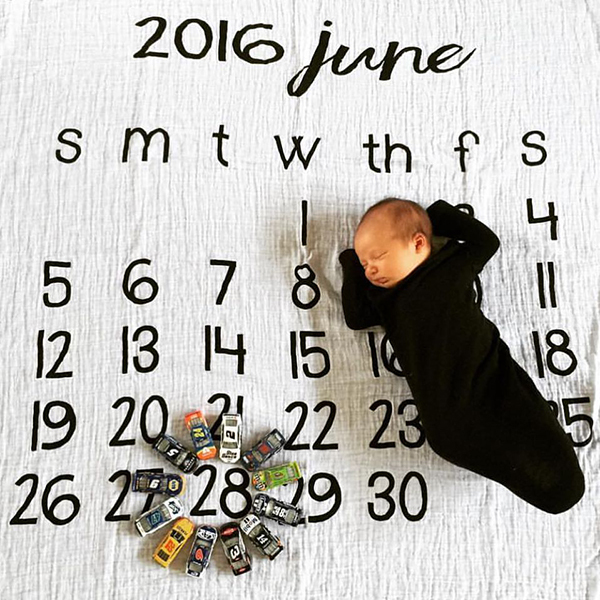 In their signature monochrome print, Calendar Swaddles are the latest in the range from Texan-based Modern Burlap. The deliberate contrast of black and white serves to capture baby’s attention and encourage visual development, all while looking fabulous in the modern home. Like the other wraps in the collection, Calendar Swaddles are made from 100 per cent GOTS organic cotton to be gentle on baby’s delicate skin. They are soft, breazy, and at almost 120cms, these square baby swaddles have versatility in spades. 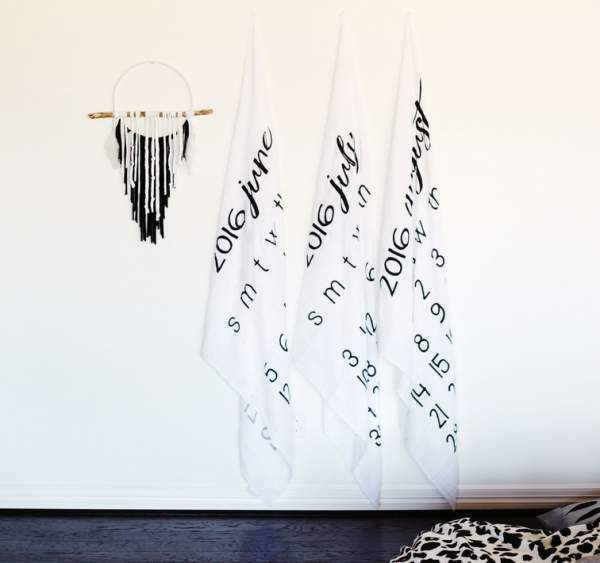 From a wrap to a burp cloth, a blanket to a towel – whatever its use, muslin Calendar Swaddles make a bold and functional memento of baby’s arrival. The range currently includes swaddles for the months of 2016 only. You can pick them up online for US$26 at Modern Burlap.